Most history of the Jews in the Netherlands was generated between the end of the 16th century and World War II. The area now known as the Netherlands was once part of the Spanish Empire but in 1581, the northern Dutch provinces declared independence. A principal motive was a wish to practice Protestant Christianity, then forbidden under Spanish rule, and so religious tolerance was effectively an important constitutional element of the newly independent state. This inevitably attracted the attention of Jews who were religiously oppressed in many parts of the world. Jews do not seem to have lived in the province of Holland before 1593; a few references to them are in existence which distinctly mention them as present in the other provinces at an earlier date, especially after their expulsion from France in 1321 and the persecutions in Hainaut and the Rhine provinces. The first Jews in the province of Gelderland were reported in 1325. Jews have been settled in Nijmegen, the oldest settlement, in Doesburg, Zutphen, and in Arnhem since 1404. In 1349 the Duke of Guelders was authorized by the Emperor Louis IV of the Holy Roman Empire of Germany to receive Jews in his duchy, where they provided services, paid a tax, and were protected by the law. In Arnhem, where a Jewish physician is mentioned, the magistrate similarly defended him against the hostilities of the populace. When Jews settled in the diocese of Utrecht is unknown, but rabbinical records regarding Jewish dietary laws speculated that the Jewish community there dated back to Roman times. In 1444 Jews were expelled from the city of Utrecht, and until 1789 no Jew might pass the night there. They were however tolerated in the village of Maarssen, two hours distant, though their condition was not fortunate. Nonetheless, the community of Maarssen was one of the most important in the Netherlands. Jews were admitted to Zeeland by Albert, Duke of Bavaria. In 1477, by the marriage of Mary of Burgundy to the Archduke Maximilian, son of Emperor Frederick III, the Netherlands were united to Austria and its possessions passed to the crown of Spain. In the sixteenth century, owing to the persecutions of Charles V and Philip II of Spain, the Netherlands became involved in a series of desperate and heroic struggles against this growing political and religious hegemony. In 1522, Charles V issued a proclamation in Gelderland and Utrecht against Christians who were suspected of being lax in the faith, as well as against Jews who had not been baptized; he repeated such edicts in 1545 and 1549, as the Reformation grew. In 1571 the Duke of Alba notified the authorities of Arnhem that all Jews living there should be seized and held until the disposition to be made of them had been determined upon. At Dutch request, Archduke Mattias established religious peace in most of the provinces, which was later guaranteed by article 13 of the 1579 Unie van Utrecht. Moreover, in 1581, the deputies of the United Provinces memorably declared independence by issuing the Act of Abjuration, which deposed Philip as their sovereign. As a consequence of these two events the Jews persecuted in Spain and Portugal turned toward the Dutch Republic as a new place of refuge. The Sephardic Jews, sometimes referred to as Spanish Jews, originated from Spain and Portugal, but had been expelled years earlier. Many still remained in the Iberian peninsula, practising either their new religion in public or Judaism in secret (see anusim, crypto-Jews, or Marranos), or both. The newly independent and tolerant Dutch provinces provided more favorable conditions for observant Jews to establish a community, and practise their religion openly. They migrated most notably to Amsterdam, and as they established themselves, collectively brought new trading expertise and connections to the city. Most importantly, they also brought the Navigation knowledge from Portugal which allowed the Netherlands to start competing for the Iberian overseas colonies. After having been refused admission to Middelburg and Haarlem, these Anusim arrived in Amsterdam in 1593. Among them were prominent merchants and persons with in-demand skills. They labored assiduously in common cause with the people and contributed materially to the prosperity of the country. They became strenuous supporters of the House of Orange and were in return protected by the stadholder. During the Twelve Years' Truce the commerce of the Dutch Republic increased considerably and a period of development had arrived. This was particularly true for Amsterdam, where the Marranos had moved their goods and base of operations to maintain their foreign trade relationships, including previous relationships with the Levant and with Morocco. The Emperor of Morocco had an ambassador at The Hague named Samuel Pallache, through whose mediation, in 1620, a commercial understanding was arrived at with the Barbary States. The trade developed between the Dutch and Spanish South America was established particularly by these Spanish Jews. They also contributed to the establishment of the Dutch West Indies Company in 1621, and some of them sat on its directorate. The ambitious schemes of the Dutch for the conquest of Brazil were carried into effect through Francisco Ribeiro, a Portuguese captain, who is said to have had Jewish relations in Holland. Some years later, the Dutch in Brazil appealed for more craftsmen of all kinds, and many Jews heeded the call. In 1642 about 600 Jews left Amsterdam, accompanied by two distinguished scholars – Isaac Aboab da Fonseca and Moses Raphael de Aguilar. The Jews strongly supported the Dutch Republic in its struggle with Portugal for the possession of Brazil, but with its loss they would seek refuge in other Dutch settlements including in the Caribbean and New Amsterdam. The Sephardim of Amsterdam would also established trade and commercial relationships with other countries in Europe, and in the early 1620s a substantial number of them would migrate from Holland to the Lower Elbe region. In a letter dated 25 November 1622, King Christian IV of Denmark invited Jews of Amsterdam to settle in Glückstadt, where, among other privileges, they were assured the free exercise of their religion. Besides merchants, many physicians were among the Spanish Jews in Amsterdam, including Samuel Abravanel, David Nieto, Elijah Montalto, and the Bueno family, of whom Joseph Bueno was consulted in the illness of Prince Maurice in April, 1623. Jews were admitted as students at the university, where they studied medicine as the only branch of science which was of practical use to them, for they were not permitted to practise law, and the Christian oath compelled for all professorships excluded them. Neither were Jews taken into the trade-guilds: a resolution passed by the city of Amsterdam in 1632 (the cities being autonomous) excluded them. Exceptions, however, were made in the case of trades which stood in peculiar relations to their religion: printing, bookselling, the selling of meat, poultry, groceries, and drugs. In 1655 a Jew was, exceptionally, permitted to establish a sugar-refinery. Several Sephardic Jews stood out during that time, including Menasseh Ben Israel, who corresponded widely with Christian leaders and helped promote Jewish resettlement in England; another was Benedictus de Spinoza (or Baruch Spinoza), who would be excommunicated from the Jewish community in 1656 after speaking out his ideas concerning (the nature of) God later published in his famous work Ethics. Many German Jews were also attracted later to the tolerant and independent Dutch provinces, generally after the mid-17th century. Unlike the more acculturated Marannos, most of these were displaced residents of Jewish ghettos escaping persecution, and the particular violence of the Thirty Year War (1618–1648) in other parts of northern Europe, and local expulsions which followed, as well as the 1648 Chmielnicki Uprising in Poland. Because most of the immigrants were poor, they were less welcome. Their arrival in considerable number threatened the economic status of Amsterdam in particular, and with few exceptions they were turned away. Nonetheless, they generally settled in rural areas where they subsisted typically as peddlers and hawkers. This would result in the establishment of many smaller Jewish communities throughout the Dutch provinces. Over time, many of these German Jews attained prosperity through retail trading and by diamond-cutting, in which latter industry they retained the monopoly until about 1870. When William IV was proclaimed stadholder (1747) the Jews found another protector like William III. He stood in very close relations with the head of the DePinto family, at whose villa, Tulpenburg, near Ouderkerk, he and his wife paid more than one visit. In 1748, when a French army was at the frontier and the treasury was empty, De Pinto collected a large sum and presented it to the state. Van Hogendorp, the secretary of state, wrote to him: "You have saved the state." In 1750 De Pinto arranged for the conversion of the national debt from a 4 to a 3% basis. Under the government of William V the country was troubled by internal dissensions; the Jews, however, remained loyal to him. As he entered the legislature on the day of his majority, 8 March 1766, everywhere in the synagogues services of thanks-giving were held. William V did not forget his Jewish subjects. On 3 June 1768, he visited both the German and the Portuguese synagogue; he attended the marriage of various prominent Jewish families. The year 1795 brought the results of the French Revolution to the Netherlands, including emancipation for the Jews. The National Convention, on 2 September 1796, proclaimed this resolution: "No Jew shall be excluded from rights or advantages which are associated with citizenship in the Batavian Republic, and which he may desire to enjoy." Moses Moresco was appointed member of the municipality at Amsterdam; Moses Asser member of the court of justice there. The old conservatives, at whose head stood the chief rabbi Jacob Moses Löwenstamm, were not desirous of emancipation rights. Indeed, these rights were for the greater part of doubtful advantage; their culture was not so far advanced that they could frequent ordinary society; besides, this emancipation was offered to them by a party which had expelled their beloved Prince of Orange, to whose house they remained so faithful that the chief rabbi at The Hague, Saruco, was called the "Orange dominie"; the men of the old régime were even called "Orange cattle". Nevertheless, the Revolution appreciably ameliorated the condition of the Jews; in 1799 their congregations received, like the Christian congregations, grants from the treasury. In 1798 Jonas Daniel Meijer interceded with the French minister of foreign affairs in behalf of the Jews of Germany; and on 22 Aug. 1802, the Dutch ambassador, Schimmelpenninck, delivered a note on the same subject to the French minister. From 1806 to 1810 the Kingdom of Holland was ruled by Louis Bonaparte, whose intention it was to so amend the condition of the Jews that their newly acquired rights would become of real value to them; the shortness of his reign, however, prevented him from carrying out his plans. For example, after having changed the market-day in some cities (Utrecht and Rotterdam) from Saturday to Monday, he abolished the use of the "Oath More Judaico" in the courts of justice, and administered the same formula to both Christians and Jews. To accustom the latter to military services he formed two battalions of 803 men and 60 officers, all Jews, who had been until then excluded from military service, even from the town guard. The union of Ashkenazim and Sephardim intended by Louis Napoleon did not come about. He had desired to establish schools for Jewish children, who were excluded from the public schools; even the Maatschappij tot Nut van 't Algemeen, founded in 1784, did not willingly receive them or admit Jews as members. Among the distinguished Jews of this period were Meier Littwald Lehemon, Mozes Salomon Asser, Capadose, and the physicians David Heilbron, Davids (who introduced vaccination), Stein van Laun (tellurium), and many others. The synagogue in the town of Veghel. The community in Veghel was a small mediene community, which reached its height around 1900. In the years following the community shrank to some 30 members, and was eventually completely destroyed during the Holocaust. On 30 November 1813, William VI arrived at Scheveningen, and on 11 December he was solemnly crowned as King William I. Chief Rabbi Lehmans of The Hague organized a special thanksgiving service and implored God's protection for the allied armies on 5 January 1814. Many Jews fought at Waterloo, where thirty-five Jewish officers died. William VI concerned himself with the organisation of the Jewish congregations. On 26 February 1814, a law was promulgated abolishing the French régime. The Jews continued to prosper in the independent Netherlands throughout the 19th century. By 1900, Amsterdam had 51,000 Jews with 12,500 paupers, The Hague 5,754 Jews with 846, Rotterdam 10,000 with 1,750, Groningen 2,400 with 613, Arnhem 1,224 with 349 ("Joodsche Courant", 1903, No. 44). The total population of the Netherlands in 1900 was 5,104,137, about 2% of whom were Jews. The Netherlands, and Amsterdam in particular, remained a major Jewish population centre until World War II, so much so that Amsterdam was called Jerusalem of the West by its Jews. The latter part of the 19th century, as well as the first decades of the 20th century, saw an ever-expanding Jewish community in Amsterdam after Jews from the mediene (the "country" Jews, Jews who were living outside the big cities – like Amsterdam, Rotterdam and The Hague -, in numerous small congregations throughout the Dutch countryside) left their communities en masse, searching for a "better life" in the larger cities. Dutch Jews were a relatively small part of the population and showed a strong tendency towards internal migration, which led to them being integrated into the socialist and liberal "pillars" before the Holocaust, rather than becoming part of a Jewish pillar. The number of Jews in the Netherlands grew substantially from the early 19th century up to World War II. Between 1830 and 1930, the Jewish presence in the Netherlands increased by almost 250% (numbers given by the Jewish communities to the Dutch Census). In 1939, there were some 140,000 Dutch Jews living in the Netherlands, among them some 25,000 German-Jewish refugees who had fled Germany in the 1930s (other sources claim that some 34,000 Jewish refugees entered the Netherlands between 1933 and 1940, mostly from Germany and Austria). The Nazi occupation force put the number of (racially) Dutch Jews in 1941 at some 154,000. In the Nazi census, some 121,000 persons declared they were members of the (Ashkenazi) Dutch-Israelite community; 4,300 persons declared they were members of the (Sephardic) Portuguese-Israelite community. Some 19,000 persons reported having two Jewish grandparents (although it is generally believed a proportion of this number had in fact three Jewish grandparents, but declined to state that number for fear that they would be seen as Jews instead of half-Jews by the Nazi authorities). Some 6,000 persons reported having one Jewish grandparent. Some 2,500 persons who were counted in the census as Jewish were members of a Christian church, mostly Dutch Reformed, Calvinist Reformed or Roman Catholic. In 1945, only about 35,000 of them were still alive. The exact number of "full Jews" who survived the Holocaust is estimated to be 34,379 (of whom 8,500 were part of a mixed marriage and thus spared deportation and possible death in the Nazi concentration camps); the number of "half Jews" who were present in the Netherlands at the end of the Second World War in 1945 is estimated to be 14,545, the number of "quarter Jews" 5,990. Some 75% of the Dutch-Jewish population perished, an unusually high percentage compared with other occupied countries in western Europe. Factors that influenced the great number of people who perished were the fact that the Netherlands was not under a military regime, because the queen and the government had fled to England, leaving the whole governmental apparatus intact. An important factor is also that the Netherlands at that time was already the most densely inhabited country of Western Europe, making it difficult for the relatively large number of Jews to go into hiding. Most Jews in Amsterdam were poor, which limited their options for flight or hiding. Another factor is that the country did not have much open space or woods to flee to. Also, the civil administration was advanced and offered the Nazi-German a full insight in not only the numbers of Jews, but also where they exactly lived. It is important to note that the average citizen of the Netherlands was unaware of the operation of "death camps" such as Mauthausen for the majority of the occupation. As all Dutch citizens where obligated to "register" and undertake work in Germany. In fact once concerns about the treatment of Dutch citizens of Jewish descent were recognised the first act of mass civil disobedience in occupied Europe during WWII took place in order to support those Dutch citizens of Jewish descent known as the Februaristaking “February strike”. A theory is that the vast majority of the nation accommodated itself to circumstances: "In their preparations for the extermination of the Jews living in The Netherlands, the Germans could count on the assistance of the greater part of the Dutch administrative infrastructure. The occupiers had to employ only a relatively limited number of their own personnel; Dutch policemen rounded up the families to be sent to their deaths in Eastern Europe. Trains of the Dutch railways staffed by Dutch employees transported the Jews to camps in The Netherlands which were transit points to Auschwitz, Sobibor, and other death camps." With respect to Dutch collaboration, Eichmann is quoted as saying "The transports run so smoothly that it is a pleasure to see." During the first year of the occupation of the Netherlands, Jews, who were already registered on basis of their faith with the authorities (just as Protestants, Catholics and others were), had to get a large "J" stamped in their IDs while the whole population had to declare whether or not they had "Jewish" roots. Jews were banned from certain occupations and further isolated from public life. Starting in January 1942, some Dutch Jews were forced to move to Amsterdam; others were directly deported to Westerbork, a concentration camp near the small village of Hooghalen which had been founded in 1939 by the Dutch government to give shelter to Jews fleeing Nazi persecution, but would fulfill the function of a transit camp to the Nazi death camps in Middle and Eastern Europe during World War II. All non-Dutch Jews were also sent to Westerbork. In addition, over 15,000 Jews were sent to labour camps. Deportations of Jews from the Netherlands to Poland and Germany began on 15 June 1942 and ended on 13 September 1944. Ultimately some 101,000 Jews were deported in 98 transports from Westerbork to Auschwitz (57,800; 65 transports), Sobibor (34,313; 19 transports), Bergen-Belsen (3,724; 8 transports) and Theresienstadt (4,466; 6 transports), where most of them were murdered. Another 6,000 Jews were deported from other locations (like Vught) in the Netherlands to concentration camps in Germany, Poland and Austria (like Mauthausen). Only 5,200 survived. The Dutch underground hid an estimated number of Jews of some 25,000–30,000; eventually, an estimated 16,500 Jews managed to survive the war by hiding. Some 7,000 to 8,000 survived by fleeing to countries like Spain, the United Kingdom, and Switzerland, or by being married to non-Jews (which saved them from deportation and possible death). At the same time, there was substantial collaboration with the Nazis from members of the Dutch population, including the Amsterdam city administration, the Dutch municipal police, and Dutch railway workers, who all helped to round up and deport Jews. One of the best known Holocaust victims in the Netherlands is Anne Frank. Along with her sister, Margot Frank, she died from typhus in March 1945 in the concentration camp of Bergen-Belsen, due to unsanitary living conditions and confinement by the Nazis. Anne Frank's mother, Edith Frank-Holländer, was starved to death by the Nazis in Auschwitz. Anne Frank's father, Otto Frank, survived the war. Dutch victims of the Holocaust include Etty Hillesum, Abraham Icek Tuschinski and Edith Stein a.k.a. Saint Teresa Benedicta of the Cross. In contrast to many other countries where all aspects of Jewish communities and culture were eradicated during the Shoah, a remarkably large proportion of rabbinic records survived in Amsterdam, making the history of Dutch Jewry unusually well documented. for the so-called "NV" ("Naamloze vennootschap", anonymous partnership or limited company); this organisation from Utrecht specialised in saving and hiding Jewish children, some 600, all of whom survived the war. Also the exploits of Geertruida Wijsmuller-Meijer in saving especially children outside the Netherlands from the shoah, are noted. She organised the first train transport of 600 Jewish children from Vienna in December 1938, after direct negotiations with Adolf Eichmann in the city, and the ultimate children's transport Kindertransport, on 14 May 1940, from the Netherlands with 74 children on board the last ship leaving the country. Per 2014 her role in the Kindertransporte is slowly gaining recognition in English-speaking countries. The Jewish-Dutch population after the Second World War is marked by certain significant changes: emigration; a low birth rate; and a high intermarriage rate. After the Second World War and the devastations which were caused by the Holocaust, thousands of surviving Jews made aliyah to Mandatory Palestine, later Israel. Aliyah from the Netherlands initially surpassed that of any other Western nation. Israel is still home to some 6,000 Dutch Jews. Others emigrated to the United States. There was a high assimilation and intermarriage rate among those who stayed. As a result, the Jewish birth rate and organized community membership dropped. In the aftermath of the Holocaust, relations with non-Jews were friendly, and the Jewish community received reparations payments. The 1960s and 1970s saw a lowering birth rate among Dutch Jews, while intermarriage increased; the intermarriage rate of Jewish males was 41% and of Jewish women 28% in the period of 1945–1949. Figures from the 1990s saw an increase in intermarriage to some 52% of all Jewish marriages. Among so-called "father Jews", the intermarriage rate is as high as 80%. Some within the Jewish community try to counter this trend, creating possibilities for single Jews to come in contact with other single Jews, like the dating site Jingles and Jentl en Jewell. According to a research by the Joods Maatschappelijk Werk (Jewish Social Service), a large number of Dutch Jews received an academic education, and there are proportionally more Jewish Dutch women in the labor force than non-Jewish Dutch women. The Jewish population in the Netherlands became more internationalized, with an influx of mostly Israeli and Russian Jews during the last decades. Approximately one in three Dutch Jews has a non-Dutch background. The number of Israeli Jews living in the Netherlands (concentrated in Amsterdam) runs in the thousands (estimates run from 5,000 to 7,000 Israeli expatriates in the Netherlands, although some claims go as high as 12,000), although only a relatively small number of these Israeli Jews is connected to one of the religious Jewish institutions in the Netherlands. Some 10,000 Dutch Jews have emigrated to Israel in the last couple of decades. At present, there are approximately 41,000 to 45,000 people in the Netherlands who are either Jewish as defined by halakha (Rabbinic law), defined as having a Jewish mother (70% – approximately 30,000 persons) or who have a Jewish father (30% – some 10,000 – 15,000 persons; their number was estimated at 12,470 in April 2006). Most Dutch Jews live in the major cities in the west of the Netherlands (Amsterdam, Rotterdam, The Hague, Utrecht); some 44% of all Dutch Jews live in Amsterdam, which is considered the centre of Jewish life in the Netherlands. In 2000, 20% of the Jewish-Dutch population was 65 years or older; birth rates among Jews were low. An exception is the growing Orthodox Jewish population, especially in Amsterdam. There are currently some 150 synagogues present in the Netherlands, of which some 50 are still used for religious services. Large Jewish communities in the Netherlands are found in Amsterdam, Rotterdam and The Hague. Various antisemitic incidents continue to occur, including the defacing in 2014 of a monument dedicated to the Jews of Gorinchem, seventy of whom were murdered in World War II; such incidents are seen as direct consequences of the ongoing tensions in the Middle East. Esther Voet, director of the Centrum Informatie en Documentatie Israël, warned the Knesset in 2014 about a growing concern about antisemitism among the Dutch Jews. Antisemitic incidents kept occurring during 2015, with graffiti sprayed in Oosterhout, harassment of a Jewish man in Amersfoort  and Jewish cemetery being vandalized in Oud-Beijerland. In June 2015, De Telegraaf published the results of the report on antisemitism among youths, conducted by the Verwey Jonker Institute. The survey revealed that antisemitism is more prevalent among Muslim: 12 percent of Muslim respondents expressed a “not positive” view of Dutch Jews compared to only two percent among Christian respondents. Moreover, 40% of Muslim respondents expressed a “not positive” view for Jews in Israel, compared to only 6% of the Christian respondents. The ADL (Anti-Defamation League) published on 2015 the "ADL Global 100"  an international survey conducted in 2013-2014 to measure antisemitic opinions in 100 countries around the world. According to the survey, 5% of the population in the Netherlands harbors antisemitic opinions. The survey was composed of eleven phrases that represent antisemitic stereotypes. For example, 33% of the population agreed with the phrase "Jews are more loyal to Israel than to this country", while 17% agreed with "Jews have too much power in the business world". Some 9,000 Dutch Jews, out of a total of 30,000 (some 30%), are connected to one of the seven major Jewish religious organizations. Smaller, independent synagogues exist as well. Most affiliated Jews in the Netherlands (Jews part of a Jewish community) are affiliated to the Nederlands Israëlitisch Kerkgenootschap (Dutch Israelite Church) (NIK), which can be classified as part of (Ashkenazi) Orthodox Judaism. The NIK has approximately 5,000 members, spread over 36 congregations (of whom 13 in Amsterdam and surroundings alone) in 4 jurisdictions (Amsterdam, The Hague, Rotterdam and the Interprovincial Rabbinate), making it considerably larger than the Union of Liberal Synagogues (LJG) and thirteen times as large as the Portuguese Israelite Religious Community (PIK). In Amsterdam alone, the NIK governs thirteen functioning synagogues. The NIK was founded in 1814, and at its height in 1877, it represented 176 Jewish communities. This went down to 139 communities prior to World War II, and 36 communities today. Besides governing some 36 congregations, the NIK also holds responsibility for more than 200 Jewish cemeteries throughout the Netherlands (on a total number of Jewish cemeteries of 250). In 1965 Rabbi Meir Just was appointed Chief Rabbi of the Netherlands, a position he held until his death in April 2010. The small Portugees-Israëlitisch Kerkgenootschap (Portuguese Israelite Religious Community) (PIK), which is Sefardic, has a membership of some 270 families, and is concentrated in Amsterdam. It was founded in 1870. Throughout history, Sefardic Jews in the Netherlands, in contrast to their Ashkenazi co-religionists, have concentrated in only a few communities: Amsterdam, The Hague, Rotterdam, Naarden and Middelburg. Only the one in Amsterdam has survived the Holocaust and is still active. There are three Jewish schools in Amsterdam, all situated in the Buitenveldert neighbourhood (Rosh Pina, Maimonides and Cheider). One of these (Cheider) is affiliated with Haredi Orthodox Judaism. Chabad has eleven rabbis, in Almere, Amersfoort, Amstelveen, Amsterdam, Haarlem, Maastricht, Rotterdam, The Hague and Utrecht. The head shluchim in the Netherlands are rabbis I. Vorst and Binyomin Jacobs. The latter is chief rabbi of the Interprovinciaal Opperrabbinaat (the Dutch Rabbinical Organisation) and vice-president of Cheider. Chabad serves approximately 2,500 Jews in the Holland region, and an unknown number in the rest of the Netherlands. Though the number of Dutch Jews is decreasing, the last decades have seen a growth of Liberal Jewish communities throughout the country. Introduced by German-Jewish refugees in the early 1930s, nowadays some 3,500 Jews in the Netherlands are linked to one of several Liberal Jewish synagogues throughout the country. 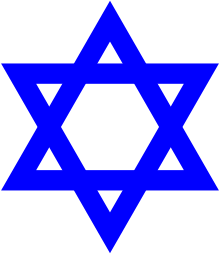 Liberal synagogues are present in Amsterdam (founded in 1931; 725 families – some 1,700 members), Rotterdam (1968), The Hague (1959; 324 families), Tilburg (1981), Utrecht (1993), Arnhem (1965; 70 families), Haaksbergen (1972), Almere (2003), Heerenveen (2000; some 30 members) and Zuid-Laren. The Verbond voor Liberaal-Religieuze Joden in Nederland (LJG) (Union for Liberal-Religious Jews in the Netherlands) (to which all the communities mentioned above are part of) is affiliated to the World Union for Progressive Judaism. On 29 October 2006, the LJG changed its name to Nederlands Verbond voor Progressief Jodendom (NVPJ) (Dutch Union for Progressive Judaism). The NVPJ has ten rabbis; some of them are: Menno ten Brink, David Lilienthal, Awraham Soetendorp, Edward van Voolen, Marianne van Praag, Navah-Tehillah Livingstone, Albert Ringer, Tamara Benima. A new Liberal synagogue has been built (2010) in Amsterdam, 300 meters away from the current synagogue. This was needed since the former building became too small for the growing community. The Liberal synagogue in Amsterdam receives approximately 30 calls a month by people whom wish to convert to Judaism. The number of people actually converting is much lower. The number of converts to Liberal Judaism may be as high as 200 to 400, on an existing community of approximately 3,500. Amsterdam is also home to Beit Ha'Chidush, a progressive religious community which was founded in 1995 by Jews with secular as well as religious backgrounds who felt it was time for a more open, diverse and renewed Judaism. The community accepts members from all kinds of backgrounds, including homosexuals and half-Jews (including Jews with a Jewish father, the first Jewish community in the Netherlands to do so). Beit Ha'Chidush has links to Jewish Renewal in the United States, and Liberal Judaism in the United Kingdom. Rabbi for the community was German-born Elisa Klapheck, the first female rabbi of the Netherlands, and is now Clary Rooda. The community uses the Uilenburger Synagoge in the center of Amsterdam. A new progressive unaffiliated group named Beth Shoshanna has started in the old synagogue of Deventer in 2009. Klal Israël is an independent Jewish congregation founded in the end of 2005, since 2009 affiliated with the Jewish Reconstructionist Federation. It holds its roots in the Progressive Union. The congregation holds services in the historic synagogue of Delft, once every two weeks. Conservative Judaism ("Masorti") was introduced in the Netherlands in 2000, with the founding of a community in the city of Almere. In 2005 Masorti Nederland (Masorti Netherlands) had some 75 families, primarily based in the greater Amsterdam-Almere region. The congregation uses the 19th century synagogue in the city of Weesp. Its first rabbi is David Soetendorp (1945). There is also a second Dutch Masorti kehilla in the city of Deventer called Masorti Jewish Community nl:Beth Shoshanna that began in 2010 and holds services and other activities in the 19th century Great Synagogue of Deventer. Jewish Renewal was first introduced in the Netherlands in the 1990s by Carola de Vries Robles. HaMakor - Center for Jewish Spirituality is the current home for Jewish Renewal and is led by Rabbi Hannah Nathans. They don't have membership dues and therefore most activities require money paid to participate. There are three Jewish schools in the Netherlands, all in Amsterdam and affiliated with the Nederlands Israëlitisch Kerkgenootschap (NIK). Rosj Pina is a school for Jewish children ages 4 through 12. Education is mixed (boys and girls together) despite its affiliation to the Orthodox NIK. It is the largest Jewish school in the Netherlands. As of 2007, it had 285 pupils enrolled. Maimonides is the largest Jewish high school in the Netherlands. It had some 160 pupils enrolled in 2005. Although founded as a Jewish school and affiliated to the NIK, it has a secular curriculum. Cheider, started by former resistance fighter Arthur Juda Cohen, presents education to Jewish children of all ages, and of the three schools, is the only one with a Haredi background. Girls and boys are educated in separate classes. The school has some 200 pupils. Bne Akiwa Holland (Bnei Akiva), a religious Zionist youth organisation. CIJO, the youth organisation of CIDI (Centrum Informatie en Documentatie Israël), a political Jewish youth organisation. Gan Israel Holland, the Dutch branch of the youth organisation of Chabad. Haboniem-Dror, a socialist Zionist youth movement. There are two Jewish nursing homes in the Netherlands. One, Beth Shalom, is situated in Amsterdam at two locations, Amsterdam Buitenveldert and Amsterdam Osdorp. There are some 350 elderly Jews currently residing in Beth Shalom. Another Jewish nursing home, the Mr. L.E. Visserhuis, is located in The Hague. It is home to some 50 elderly Jews. Both nursing homes are aligned to Orthodox Judaism; kosher food is available. Both nursing homes have their own synagogue. There is a Jewish wing at the Amstelland Hospital in Amstelveen. It is unique in Western Europe in that Jewish patients are cared for according to Orthodox Jewish law; kosher food is the only type of food available at the hospital. The Jewish wing was founded after the fusion of the Nicolaas Tulp Hospital and the (Jewish) Central Israelite Patient Care in 1978. The Sinai Centrum (Sinai Center) is a Jewish psychiatric hospital located in Amsterdam, Amersfoort (primary location) and Amstelveen, which focuses on mental healthcare, as well as caring for and guiding persons who are mentally disabled. It is the only Jewish psychiatric hospital currently operating in Europe. Originally focusing on the Jewish segment of the Dutch population, and especially on Holocaust survivors who were faced with mental problems after the Second World War, nowadays the Sinai Centrum also provides care for non-Jewish victims of war and genocide. Jewish television and radio in the Netherlands is produced by NIKMedia. Part of NIKMedia is the Joodse Omroep, which broadcasts documentaries, stories and interviews on a variety of Jewish topics every Sunday and Monday on the Nederland 2 television channel (except from the end of May until the beginning of September). NIKMedia is also responsible for broadcasting music and interviews on Radio 5. The Nieuw Israëlitisch Weekblad is the oldest still functioning (Jewish) weekly in the Netherlands, with some 6,000 subscribers. It is an important news source for many Dutch Jews, focusing on Jewish topics on a national as well as on an international level. The Joods Journaal (Jewish Weekly) was founded in 1997 and is seen as a more "glossy" magazine in comparison to the NIW. It gives a lot of attention to the Israeli-Palestinian conflict. Another Jewish magazine published in the Netherlands is the Hakehillot Magazine, issued by the NIK, the Jewish Community of Amsterdam and the PIK. Serving a more liberal Jewish audience, the NVPJ publishes its own magazine, Levend Joods Geloof (Living Jewish Faith), six times a year; serving this same audience, Beit Ha'Chidush publishes its own magazine as well, called Chidushim. There are a couple of Jewish websites focusing on bringing Jewish news to the Dutch Jewish community. By far the most prominent is Joods.nl, which gives attention to the large Jewish communities in the Netherlands as well as to the Mediene, to Israel as well as to Jewish culture and youth. Amsterdam's Jewish community today numbers about 15,000 people. A large number live in the neighbourhoods of Buitenveldert, the Oud-Zuid and the River Neighbourhood. Buitenveldert is considered a popular neighbourhood to live in; this is due to its low crime-rate and because it is considered to be a quiet neighbourhood. Especially in the neighbourhood of Buitenveldert there's a sizeable Jewish community. In this area, Kosher food is widely available. There are several Kosher restaurants, two bakeries, Jewish-Israeli shops, a pizzeria and some supermarkets host a Kosher department. This neighourbood also has a Jewish elderly home, an Orthodox synagogue and three Jewish schools. Uniquely in the Netherlands, Ashkenazi and Sephardi communities coexisted in close proximity. Having different cultural traditions, the communities remained generally separate but their geographical closeness resulted in cross-cultural influences not found elsewhere. Notably, in the early days when small groups of Jews were attempting to establish communities, they were bound to use the services of rabbis and other officials from either culture, depending on who was available. In 1812, while the Netherlands was under Napoleonic rule, all Dutch residents (including Jews) were obliged to register surnames with the civic authorities, a practice which among Jews had previously been followed only by Sephardim. As a result of the compulsory registration and other extant records, it became clear that while the Ashkenazim had been avoiding civic registration, many had nevertheless been using an unofficial system of surnames for hundreds of years. Also under Napoleonic rule, in 1809 a law was passed obliging Dutch Jewish schools to teach in Dutch and Hebrew. This effected the exclusion of other languages and in due course, Yiddish, the lingua franca of Ashkenazim, and Judaeo-Portuguese, the previous language of the Portuguese Sephardim, practically ceased to be spoken among Dutch Jews. Certain Yiddish words have been adopted into the Dutch language, especially in Amsterdam (which is also called Mokum, from the Hebrew word for town or place, makom), where the historically large Jewish community has had a significant influence on the local dialect. There are several other Hebrew words that can be found in the local dialect including: Mazzel from mazel, which is the Hebrew word for luck or fortune; Tof which is Tov in Hebrew meaning good (as in מזל טוב – Mazel tov), and Goochem in Hebrew Chacham or Hakham, meaning wise, sly, witty or intelligent, where the Dutch g is pronounced similarly to the 8th letter of the Hebrew Alphabet the guttural Chet or Heth. Jews played a major role in the development of Dutch colonial territories and international trade, and many Jews in former colonies have Dutch ancestry. However, all the major colonial powers were competing fiercely for control of trade routes; the Dutch were relatively unsuccessful and during the 18th century, their economy went into decline. Many of the Ashkenazim in the rural areas were no longer able to subsist and they migrated to the cities in search of work. This caused a large number of small Jewish communities to collapse completely (ten adult males were required for major religious ceremonies). Entire communities then migrated to the cities where the Jewish populations swelled explosively. In 1700, the Jewish population of Amsterdam was 6,200, with Ashkenazim and Sephardim in almost equal numbers. By 1795 the figure was 20,335, the vast majority being poor Ashkenazim. Because Jews were obliged to live in specified Jewish quarters, there was severe overcrowding. By the mid-nineteenth century, many were migrating to other countries where the advancement of emancipation offered better opportunities (see Chuts). ↑ "Four hundred years of Dutch Jewry - Jewish Historical Museum - Jewish Cultural Quarter". 20 February 2016. ↑ "Union of Utrecht 1579". ↑ Koenen, Hendrik Jakob (1843). Geschiedenis der Joden in Nederland (History of the Jews in the Netherlands) p.387. Bij C. van der Post Jr. p. 519. Retrieved 31 January 2012. ↑ Hans Knippenberg (May 2002). "Assimilating Jews in Dutch nation-building: the missing 'pillar'". Tijdschrift voor economische en sociale geografie. 93 (2): 191–207. doi:10.1111/1467-9663.00194. 1 2 DEMOS March 2001. Accessed 18 July 2007 (Dutch) Archived 10 June 2007 at the Wayback Machine. ↑ JCH Blom (July 1989). "The Persecution of the Jews in the Netherlands: A Comparative Western European Perspective". European History Quarterly. 19 (3): 333–351. doi:10.1177/026569148901900302. . For more recent publications, see: Pim Griffioen and Ron Zeller, "Comparison of the Persecution of the Jews in the Netherlands, France and Belgium, 1940-1945: Similarities, Differences, Causes", in: Peter Romijn et al., The Persecution of the Jews in the Netherlands, 1940–1945. New Perspectives. Amsterdam: Amsterdam University Press/Vossius Pers/NIOD, 2012, 55–91. Pim Griffioen and Ron Zeller, "Anti-Jewish Policy and Organization of the Deportations in France and the Netherlands, 1940–1944: A Comparative Study", Holocaust and Genocide Studies 20 (3), Winter 2006, 437–473. ↑ Manfred Gerstenfeld (1999-08-15). "Wartime and Postwar Dutch Attitudes Toward the Jews: Myth and Truth". Jcpa.org. Retrieved 2012-05-01. ↑ "Netherlands: Virtual Jewish History Tour". Jewishvirtuallibrary.org. Retrieved 2012-10-18. ↑ Tracey R. Rich. "Who Is a Jew?". Retrieved 11 January 2013. ↑ Joseph Telushkin in Jewish Literacy (1991). "Patrilineal Descent". Jewish Virtual Library. Union of American Hebrew Congregations. Retrieved 11 January 2013. ↑ "stichtingjingles.nl". stichtingjingles.nl. Retrieved 2012-05-01. ↑ Kennedy, Ronald (9 February 2005). "Jewell, partnerbemiddeling voor Joodse homoseksuelen" (in Dutch). Gay Krant. Retrieved 11 January 2013. ↑ Churchbuildings are disappearing. De Telegraaf, 17 January 2008. Accessed 17 January 2008 (Dutch). ↑ Deira, Shari (2 August 2014). "Joods Monument Gorinchem beklad vanwege conflict Israël-Gaza -". Elsevier (in Dutch). Retrieved 11 December 2014. ↑ Damen, Ton (29 July 2014). "Esther Voet tegen Knesset: 'Nederlandse joden vrezen antisemitisme'". Het Parool (in Dutch). Retrieved 11 December 2014. ↑ "Antisemitic graffiti". CFCA. Retrieved 26 May 2015. ↑ "Jewish man harassed on street". CFCA. Retrieved 27 May 2015. ↑ "Jewish cemetery vandalized". CFCA. AD. Retrieved 31 October 2015. ↑ "Antisemitism among young people in the Netherlands - Causes and trigger factors". CFCA. Retrieved 27 July 2015. ↑ "ADL global 100- Netherlands". Anti-Defamation League. Retrieved 29 February 2016. ↑ "Dutch Chief Rabbi Meir Just dies aged 101 | Radio Netherlands Worldwide". Rnw.nl. 2010-04-09. Retrieved 2011-11-29. ↑ "ipor.nl". ipor.nl. Retrieved 2012-05-01. ↑ "bethshoshanna.nl". Bethshoshanna.nl. Retrieved 2012-05-01. ↑ "About Rabbi Hannah Nathans". www.hamakor.nl. Retrieved April 26, 2016. ↑ "Access for All". www.hamakor.nl. Retrieved April 26, 2016. ↑ "bneakiwa.nl". bneakiwa.nl. Retrieved 2012-05-01. ↑ Archived 21 May 2007 at the Wayback Machine. ↑ "chaba.nl". Chabad.nl. Retrieved 2012-05-01. ↑ "ijar.nl". ijar.nl. Retrieved 2012-05-01. ↑ "moosweb.nl". moosweb.nl. Retrieved 2012-05-01. ↑ "netzer-holland.nl". netzer-holland.nl. Retrieved 2012-05-01. ↑ Archived 11 June 2007 at the Wayback Machine. ↑ "Jewish nursing home Beth Shalom" (in Dutch). Retrieved 15 May 2007. ↑ "joodseomroep.nl". joodseomroep.nl. Retrieved 2012-05-01. ↑ "Chidushim Magazine" (in Dutch). beithachidush.nl. Retrieved 12 July 2007. This article incorporates text from a publication now in the public domain: Singer, Isidore; et al., eds. (1901–1906). "Netherlands". Jewish Encyclopedia. New York: Funk & Wagnalls Company.